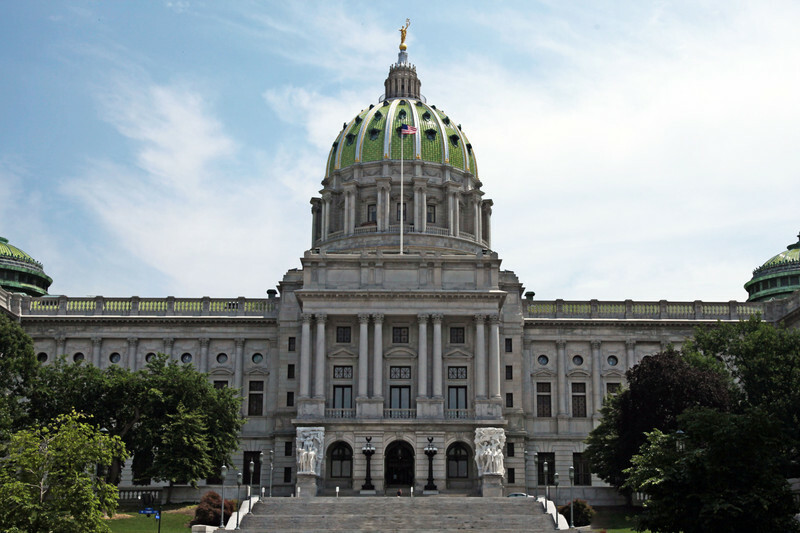 A bill to regulate online casinos cleared a couple of key Pennsylvania Senate committees on Tuesday, setting it up for a possible full Senate vote. An earlier form of the legislation cleared the House in April. The Senate Community, Economic & Recreational Development Committee and the Senate Appropriations Committee signed off on the omnibus bill that also includes daily fantasy sports regulation and the authorization of internet lottery sales. The legislation, House Bill 271, was heavily amended this week, which included setting the tax rate for online slots and table games at 54 percent, while calling for a 16 percent tax on internet poker revenue. As noted by OnlinePokerReport, the industry has expressed concerns with a 54 percent tax on non-poker games, so that could still be tweaked. Pennsylvania’s 12 land-based casinos pay a 54 percent tax on slot machine revenue. All of the casinos would be eligible for online gambling licenses under the bill. A web poker license would cost $5 million, and a slot/table game license would also cost $5 million. Pennsylvania has been eyeing $250 million from gambling expansion for its budget. The legislation could be voted on by the full Senate as early as Wednesday. If successful there, it would go back to the House so lawmakers there could review the amendments. The governor would also need to sign the legislation before it became law. The bill as it is currently written seems more favorable to poker than the other games from a business standpoint. Pennsylvania has one of the top poker markets in the country. The state’s brick-and-mortar poker rooms raked $20.38 million through the first four months of 2017, up 1.4 percent compared to the same period last year. The poker rooms raked $58.6 million in calendar year 2016, about $1 million more than revenue generated in calendar year 2015. The poker rooms have raked about $400 million million since table games began in the Keystone State about a decade ago. It’s been estimated that online gambling could add about $300 million to the existing Pennsylvania gambling market, which would be about 10 percent. New Jersey’s roughly $200 million online gambling market last year added nearly 10 percent to Atlantic City gaming win. The problem is that Pennsylvania’s $3 billion casino gambling market hasn’t grown much over the past six years, leading lawmakers to seek other ways for the industry to generate revenue. Pennsylvania saw its first casino open in 2006.